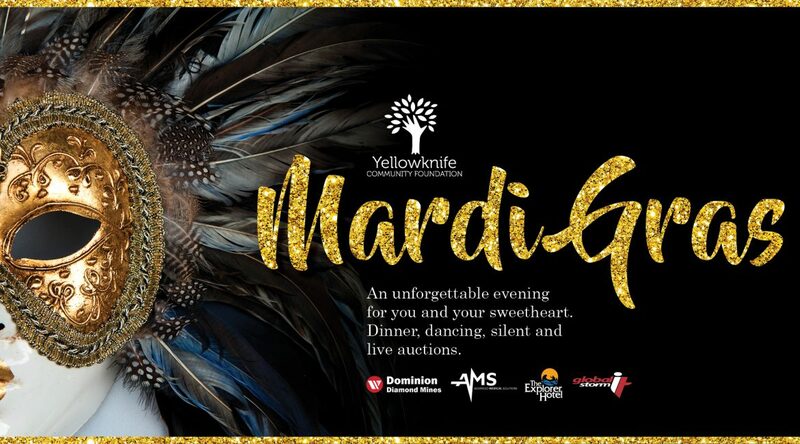 Join us on Saturday, February 9th, 2019 for the Yellowknife Community Foundation’s annual black tie gala. An unforgettable evening for you and your sweetheart. Dinner, dancing, silent and live auctions. When: Saturday, February 9th, 2019. Cocktails at 6.00pm, Dinner at 7.00pm, Dancing at 9.00pm. Tickets: $150 at For Men Only, in the lower level of YK1 Mall. A portion of the ticket price is tax deductible.